Every year, 650,000 Americans, most of them black, are released from prison. Upon returning home, they find that their lives are constrained in hundreds of ways, by laws and regulations that determine what they can and can’t do and who they can and can’t live with or communicate with. Their ability to earn a living, rent a home, and reunite with loved ones continues to be determined by the system that incarcerated them. They may be out of prison, their lives are no less supervised. In Halfway Home: Race, Punishment, and the Afterlife of Mass Incarceration, Reuben Jonathan Miller looks at an aspect of the crisis in criminal justice that hasn’t gotten enough attention. As he makes clear, it is essential that we recognize the scope of this social shift and its implications. 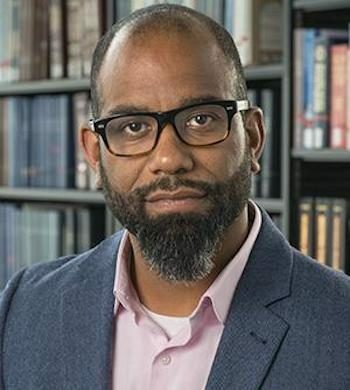 As a chaplain at the Cook County Jail in Chicago and then as a sociologist studying mass incarceration, Reuben spent years embedded with prisoners, ex-prisoners, and their families and friends. Halfway Home captures their stories, focusing in particular on seven men and four women as they try to make their way in a new world. It immerses readers in the supervised society, offering an intimate examination that might serve as the starting point for meaningful change. Halfway Home is a poignant and alarming call to understand what the afterlife of punishment looks like. We have excluded thousands from the rights of citizenship, and the costs have been enormous, changing black life in America and altering the ways that Americans relate to one another.